Professor Dragan Ilic is the Director of Teaching and Learning and Head of the Medical Education Research and Quality (MERQ) unit at the School of Public Health and Preventive Medicine, Monash University. At an undergraduate level, Dragan is the course convenor of the Bachelor of Health Sciences and Bachelor of Public Health Science programs. He also coordinates the Evidence Based Clinical Practice (EBCP) program delivered into the Monash MBBS/MD degree. At a post-graduate level, Dragan is the course coordinator for the Master of Public Health (online). Dragan is a member of the curriculum committee for the International Society for Evidence-Based Health Care (ISEHC) and a founding member, and current executive member, of the Society for Cost and Value in Health Professions Education (SCVHPE). Dragan has a keen interest in medical and health professions educational research, with specific focus on teaching modalities, assessment, evidence-based practice and economic evaluation. He also maintains a keen interest in clinical research, in particular the field of men's health. Dragan is a current editor for the Cochrane Urology group. 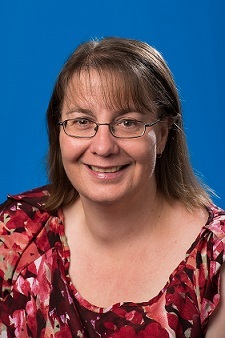 Associate Professor Basia Diug is the Head of Undergraduate Courses and Head (Innovation and Quality) in the Medical Education Research and Quality (MERQ) unit at the School of Public Health and Preventive Medicine, Monash University. Basia is the research methods in medicine academic lead for the new MD and teaches in the MBBS/MD, Bachelor of Health Sciences (HSC) and Bachelor of Biomedical Sciences (BMS). She brings expertise in research methods, assessment design and evaluation amd the use of innovation in online teaching. This includes the design and development of innovative educational tools for teaching anatomy and physiology, research methodology, epidemiology and biostatistics. Basia has a strong focus on professional development of staff and graduate attributes in students. Basia works with a teaching team and developed the SPHPM Teaching Associate Coaching Program to help support teaching staff within the faculty. In addition, she coordinates the successful SPHPM Summer Vacation Scholarship Program. This program bridges the research teaching nexus by giving students the opportunity to become members of the SPHPM team for the duration of their internship. Basia is the treasurer of the Council of Academic Public Health Institutions Australasia (CAPHIA). Joining Monash University in 2008, Tania has held a variety of roles within the school, including as an executive officer and projects administration manager. Prior to this, Tania worked as a PA and Practice Manager for a range of clinicians in the health sector. In 2016, Tania joined the Medical Education Research and Quality (MERQ) unit as a project officer, facilitating the MERQ Seminar program, MERQ workshops and teaching associate and unit coordinator training. In 2017 Tania became the Education Programs Advisor for the school. Her focus in this role is providing HR and administrative support to undergraduate and postgraduate teaching staff and managing the teaching database. Tania is also undertaking a Masters of Information Management. 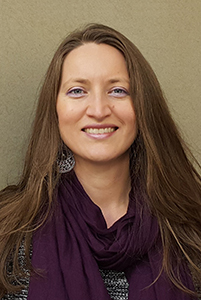 Raya has extensive experience in learning and teaching in higher education, and has worked in face-to-face, blended, and online unit design and development, as both an academic and an Educational Designer. She has a PhD in Communication, and a Graduate Certificate in Learning & Teaching in Higher Education. Her academic discipline is Media, Writing, Culture & Communication, specialising in media and technology, Australian studies, popular culture, and issues of race, gender and sexuality. Danijela joined MERQ in 2018. She teaches chronic disease epidemiology and prevention at both undergraduate and postgraduate level. Danijela designed and led the development of the first massive open online course (MOOC), Sit Less, Get Active, to deliver and evaluate physical activity promotion. She is a proponent of active learning, a strong promoter of student engagement in the course development and revalidation, and explores and publishes on the impact of learning analytics on teaching, learning, training and development. 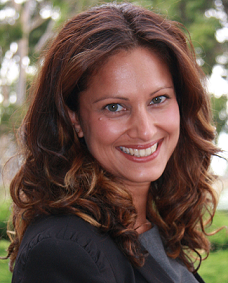 Danijela’s health-related research revolves around chronic disease prevention and management. She is particularly interested in the role physical activity behaviour plays in the prevention and management of chronic non-communicable diseases. Kelly joined the MERQ unit in 2017 as a Lecturer and Unit Coordinator, teaching into the Bachelor of Health Sciences degree, however has been coordinating and tutoring a variety of Health Science units for the past four years. 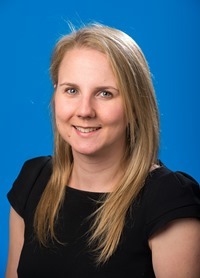 Kelly has a strong interest in evidence-based health care and spent three years as a systematic review trainer at Cochrane Australia, also based at Monash University, and seven years as a reviewer, educator and project manager at the Centre for Clinical Effectiveness at Monash Health. Prior to working as a systematic reviewer Kelly worked in public health roles at the Victorian Department of Health and the Murdoch Childrens Research Institute, and as a laboratory scientist at the Burnet Institute. Sarah has worked for Monash University since 2009, teaching across a range of health promotion units within the Bachelor of Health Sciences degree, as well as coordinating several research and health promotion evaluation studies. Her research and evaluation work examines the impact of health promotion programs, in particular, programs aiming to increase physical activity participation for diverse and underrepresented communities. Sarah joined the MERQ team in 2018, as lecturer and unit coordinator within the undergraduate Health Sciences degree and the Master of Public Health. Sarah has a Masters of Public Health, which included research examining the impact of food insecurity for single parents in a rural setting. 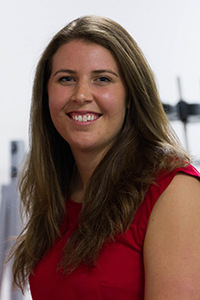 Sarah is currently completing a PhD determining the conditions necessary for health promotion program sustainability across different program locations, settings and populations. Sarah has a keen interest in qualitative research methods and exploring the areas of program sustainability, capacity building and working with diverse and underrepresented communities. Micaela has over 15 years experience working in various roles across public health including previously serving as Mayor for the City of Monash and as a Ministerial Adviser to a former Victorian Health Minister. Micaela is particularly passionate about health policy, advocacy and settings based health promotion - or put simply how gender and where we live, work, play & study can influence our lives. Nazmul is a Lecturer and the Program Manager for Monash Online courses (Master of Public Health and Master of Health Administration). He has been teaching and lecturing at the School of Public Health and Preventive Medicine for five years and is a unit coordinator in the Bachelor of Health Science degree. He joined MERQ in 2017 after completing his PhD in the biostatistics unit at SPHPM. 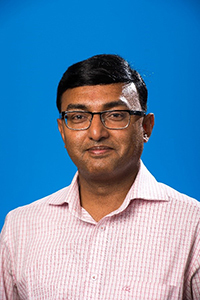 His research interest include epidemiological modelling, risk stratification, non-communicable disease, diabetes and its complications, health promotion, environmental health and evidence based clinical practice. Stavroula joined the MERQ unit in 2017 as a Lecturer and Unit Coordinator, and has been coordinating and tutoring a number of undergraduate Health Science subjects at Monash for the past three years. Stav has a background in psychology and counselling, and has over 20 years’ experience in tobacco control and public health, having worked with Quit Victoria, the Cancer Council of Victoria in a range of roles. She also founded her own education and training business in 2013, Health & Wellbeing Training Consultants, where she provides training and education on a range of lifestyle topics to educate, motivate, and encourage positive behaviour change, and help individuals improve their health and wellbeing. Bethany officially joined the MERQ team in 2017 after tutoring in the school for more than five years. In her role as an assistant lecturer and research assistant, she will provide support to a number of Health Science and Biomedical Science units. She will also assist in co-ordinating the SPHPM Summer Vacation Scholarship Program. Bethany is passionate about optimising the student experience through innovative teaching methods and curriculum design. She is particularly focused on developing online content and teaching through the use of Alexandria eBooks.